Yes, it is Thanksgiving tomorrow in the U.S. In thinking about a topic to cover for the day before Thanksgiving, I reviewed some recent news for ideas. Rather than expand on one of the topics, I thought I might summarize a few items I found of interest – and make some comments. For example, I saw conflicting reports that Apple would be starting low volume production of microLED watches by the end of the year vs. one that said Apple was down-sizing its Taiwanese microLED operations – maybe to bring some of that activity back to the U.S. I have no idea which story is correct, but I can say that there is a lot of smoke right now in microLEDs, but as of yet, no fire. I suspect that may change in 2018. There have been reports of microLED mass transfer rates of 500K to 700K devices per second. That’s incredible and if that can become a production process, high resolution displays with a variety of pixel pitches should become viable. We definitely need to watch this developing area. Intel says it is betting big on 5G with one executive being quoted as saying, “The 5G Intel chips will become the foundation for the network, cloud, and clients together in an end-to-end 5G solution.”The Intel XMM 8000 series chips will operate in the sub-6 GHz and millimeter wave spectrum bands around the world to connect 5G networks to PCs, set top boxes, smartphones and cars. The first chip set will be available in 2019 and the company is working with 280 partners in its network builders program and has more than 140 reference architecture designs. Qualcomm is also expected to be a major player in 5G which should be able to deliver 1 Gbps simultaneously to many workers on the same office floor, with lower rates as the coverage area and number of users increases. Such services could also be very helpful for delivering data-intensive VR images, 8K content and even light field data in the early 2020s. AR for shopping may shape up to be a killer app for the platform. 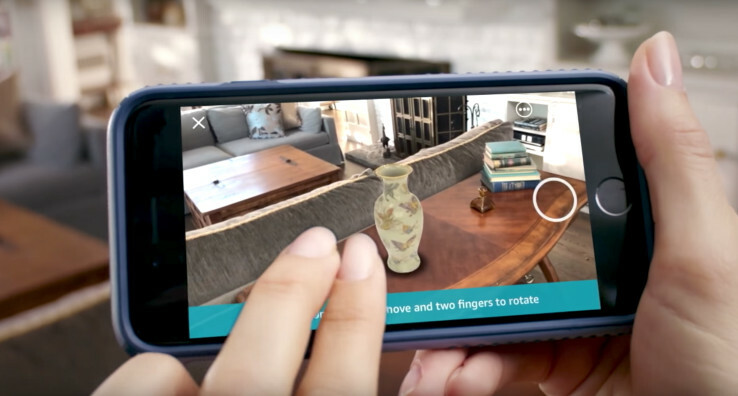 Using your mobile phone and an AR app, you can now visualize a new couch, dresser or other household items in your home before you buy. Target, IKEA, Lowes, Wayfair and Houzz all have apps and now Amazon has joined the fray with an iOS app called AR View. The new Amazon App overlays the selected item as a 3D object on a flat surface so consumers can walk around it. The VR/AR market remains hot, but I have to wonder for how long. There is so much money chasing almost anything that can be tied to AR/VR that it is starting to smell like a bubble. We have already started to see some consequences like the shuttering on the OZO camera project at Nokia and the less than stellar sales results for VR headsets. But for now, the investments continue. In the 2017 second half VR report from the Venture Reality Fund group, they say that. “Global investment in VR and AR is tracking higher than any previous period, and at a more accelerated pace. 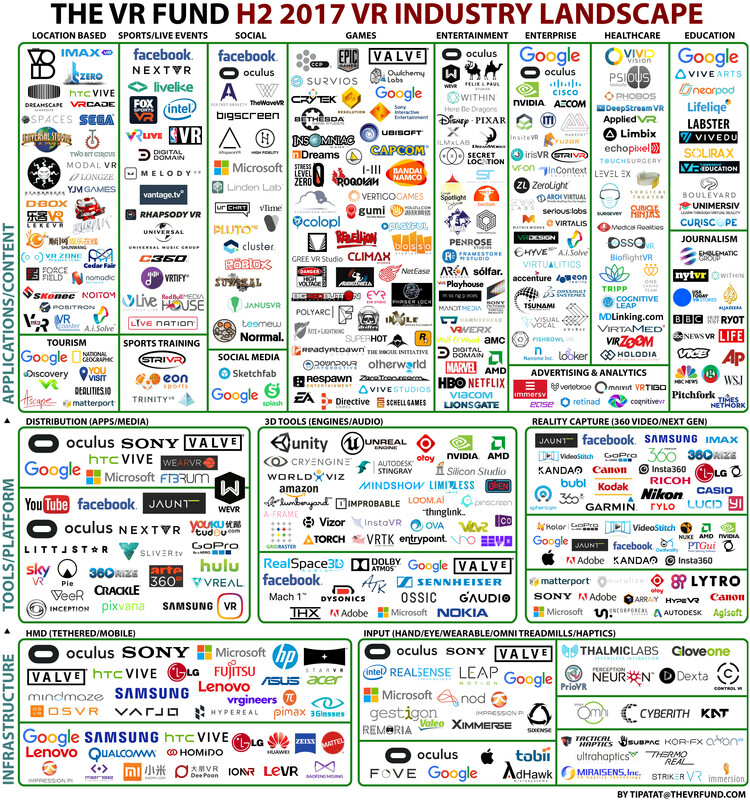 The VR industry is healthy and growing steadily, and we are seeing increased investor interest from traditional venture funds and new VR and AR-focused funds alike.”The VR Fund evaluated more than 3,000 companies and identified the 450 that met a certain criteria of funding, revenue, mainstream coverage, and/or major partnerships that qualified them for inclusion in the map, interactive table, and report. We also saw that Vimeo will now support the streaming of 8K, 10-bit videos with HDR10 static metadata. The update includes support for the iPhone X, iPadPro and Apple TV 4K – something YouTube does not support. While this is a nice move for content creators to upload their content in all of its 5K, 6K or 8K glory, streaming it to your 5K-8K display may be another issue. This may be exactly where 5G can help. OK, I guess that is enough appetizers for now. Happy Thanksgiving! This article first appeared on www.displaydaily.com.